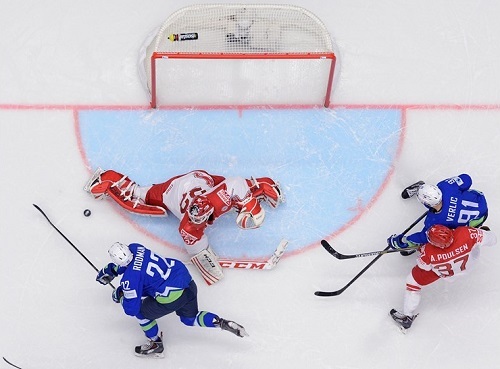 The relegated Team Slovenia has capped off their tournament in style – a win over Denmark. This victory marks the only notch in the win column for Slovenia in this year’s tournament. Ziga Pance scored the lone goal in the game, assisted by Slovenia’s lone NHLer – Anze Kopitar, exactly halfway through the first period in an otherwise uneventful game. Gasper Groselj recorded the shutout for Slovenia, stopping all 24 shots he faced. Slovenia’s next men’s world’s competitive match will be in Division I A, as they were relegated regardless of the score today. Denmark’s overtime loss to Slovakia early in the tournament saves them from relegation, as they tallied just one more point than Slovenia en route to a 14th-place finish in the tournament.